The chilling video looks like a scene from National Geographic. The incident took place at 10.30pm on 16 November at Block 726 Jurong West Avenue 5. Graphic pictures below. Viewer discretion is advised. 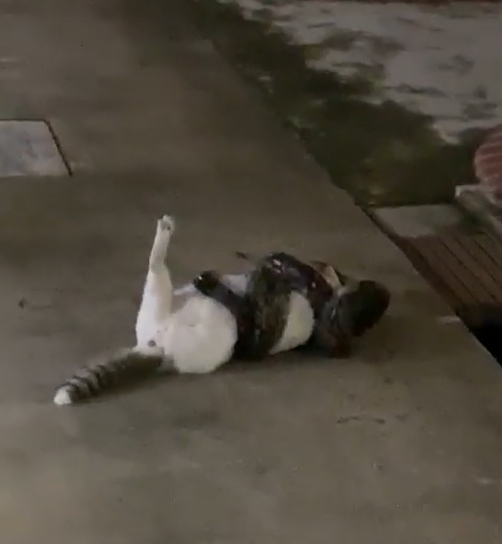 Stomp reported that the person taking the video wanted to save the cat but was too late. 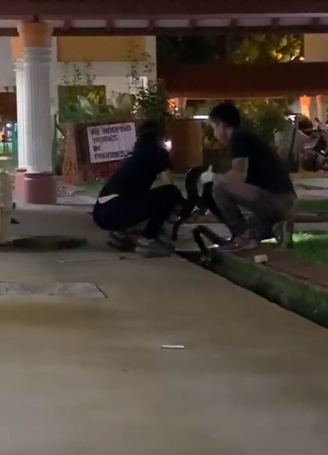 The python was then seen slithering into a nearby drain and remained there until about 11.26pm. "We responded but we understand that the snake had moved into a covered drain. 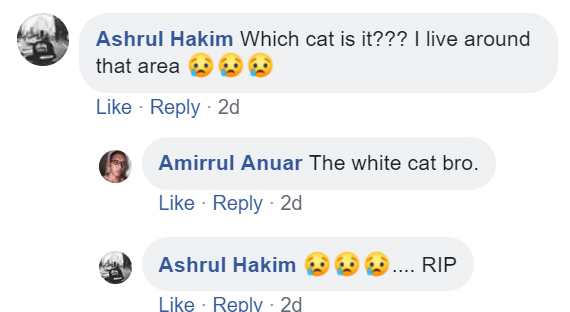 The cat was already dead. The presence of the crowd probably caused the snake to let go of the cat and move away as they are generally shy animals," ACRES told Stomp. However, he has yet to personally apologise to the girl. Plastic bottles, cups, bags, and slippers were found in the whale's stomach. A video of him screaming in pain after the accident has since gone viral.